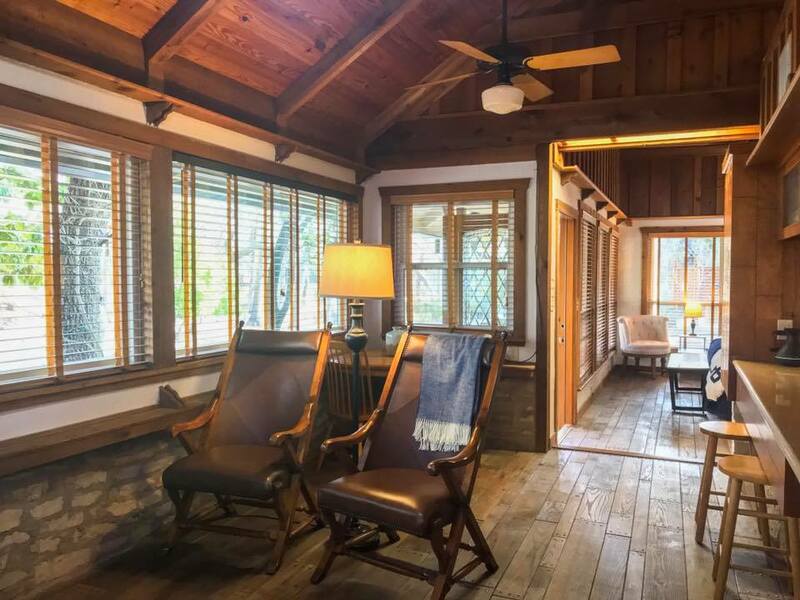 The Creek House is where the original 1930’s fishing cabin stood and blends modern conveniences and rustic charm. 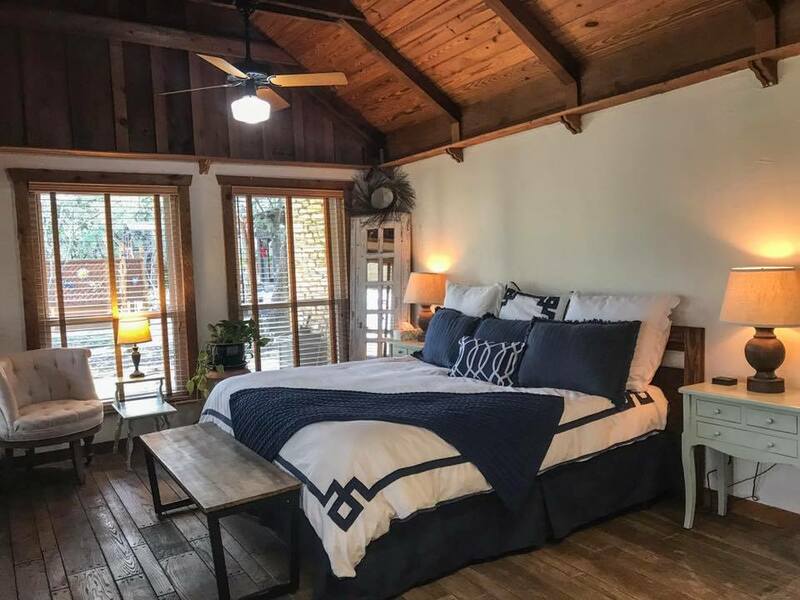 Transitional decor and rough cut cedar are throughout giving this Texas vacation rental a very unique feel. The rustic wood floors with antique nail heads are sure to impress. 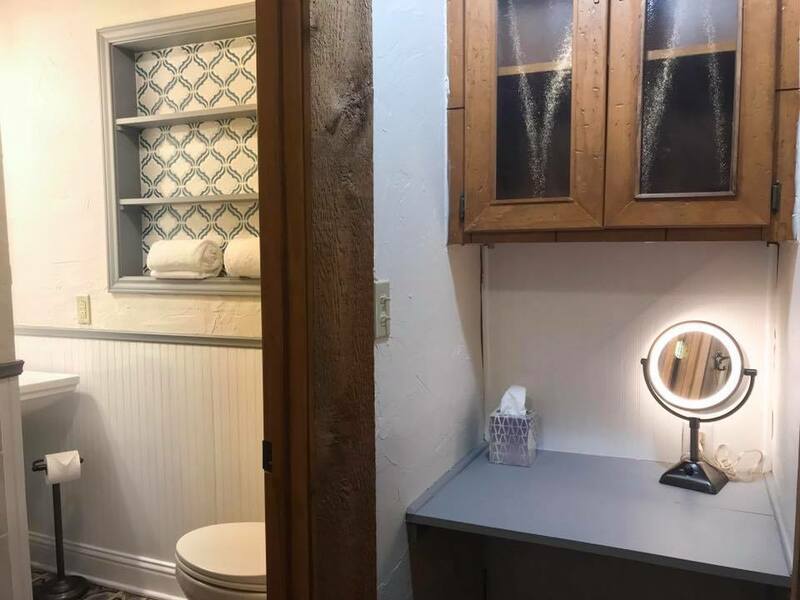 This guest suite feels like a water front cabin and is perfect for longer Texas vacations with it’s full kitchen and large size. 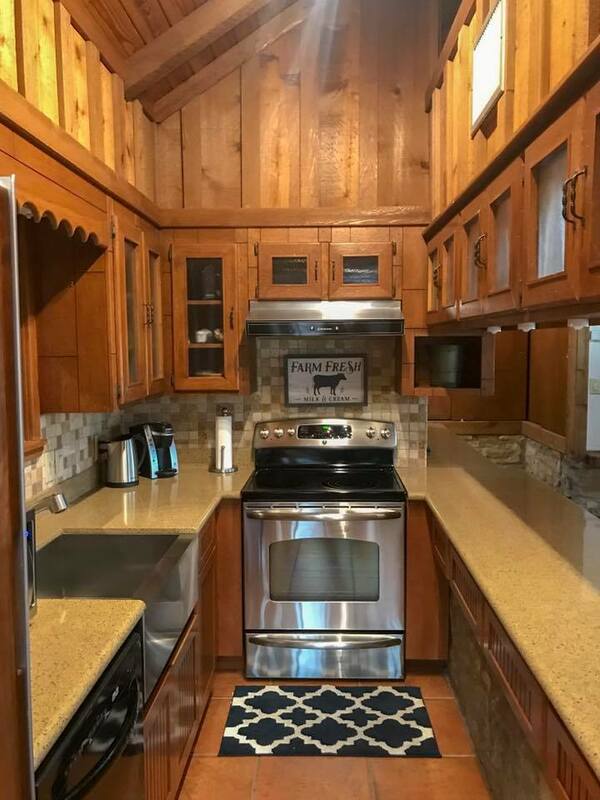 The kitchen features a full-size range and oven, dishwasher, stainless steel apron sink, large refrigerator, and microwave. If you love to cook this guest suite is for you. A separate sleeping area offers a Zenhaven natural latex mattress with organic cotton and New Zealand wool. Luxury linens, digital assistant (Alexa) and multiple windows with a creek view make this sleeping area one to remember. 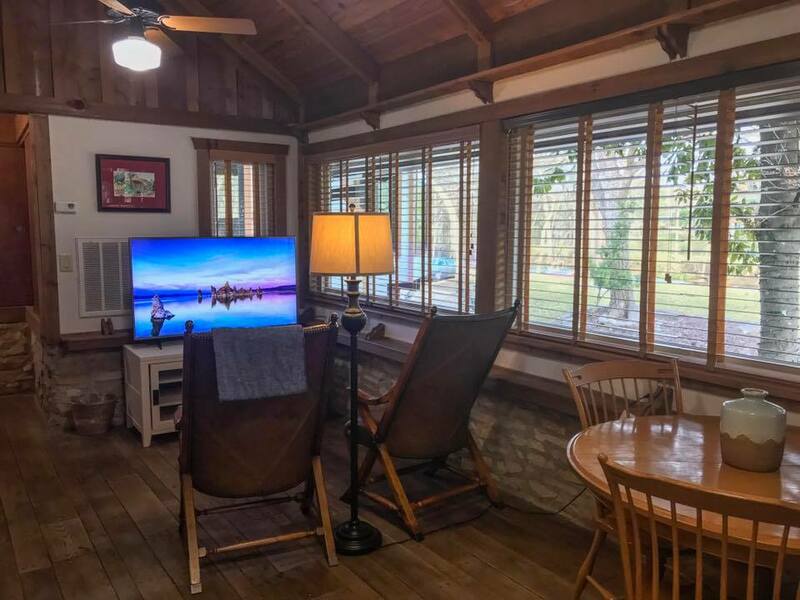 The living area has a streaming 4K TV that offers cable, Netflex, Hulu and more. Currently there are two leather chairs that are to be replaced with a love seat sleeper sofa in March. There is also a small dining room table for romantic in-room dining experiences. The living area also features Cypress Creek views. 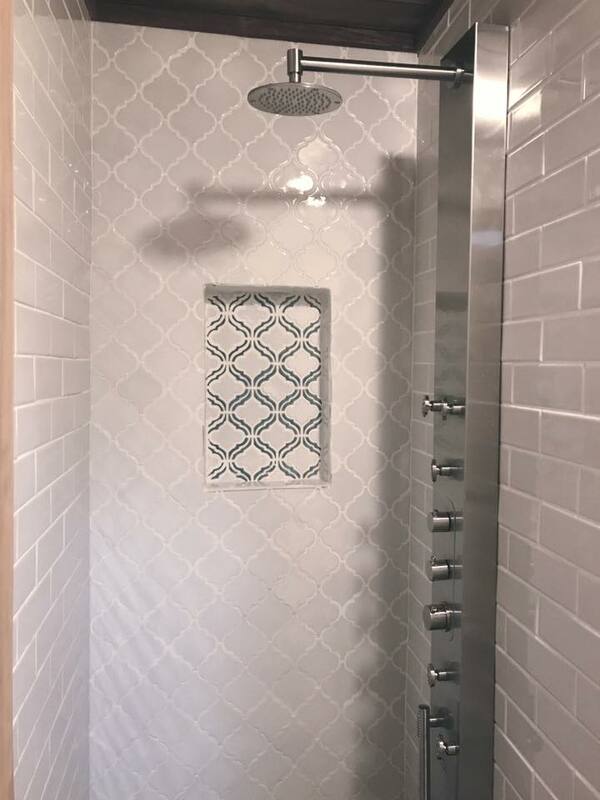 The newly renovated bathroom has a full tile shower with a shower panel that is amazing! It features multiple options including a rain shower head, body jets, and a wand. You will remember this shower! 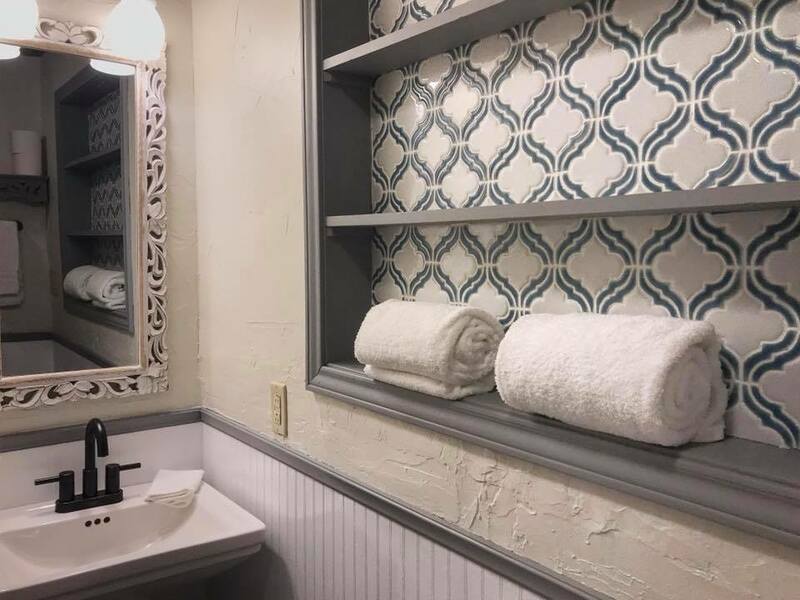 The bathroom also features upgraded Comphy towels that are super soft and absorbent! We love these towels and we think you will too. Bath Products are from the local lavender farm, Hummingbird Farms, these shampoos, soaps, and conditioners smell amazing and are designed to relax your senses. 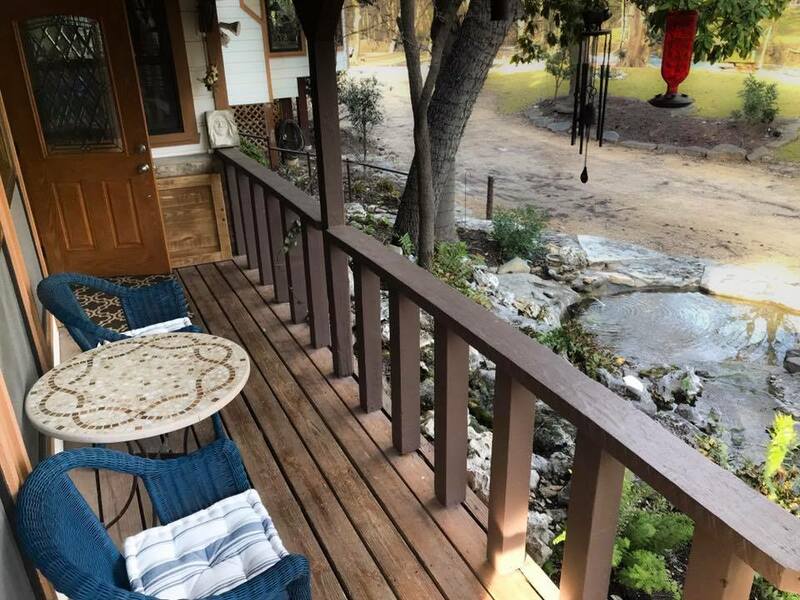 The Creek House has a private porch overlooking the property and Cypress Creek and is directly in front of a water feature that offers the relaxing sounds of falling water. It’s the perfect place to enjoy your romantic getaway.  Book The Creek House as your next Texas vacation rental.